NIST 800-171 Compliance Can be Done Quickly! 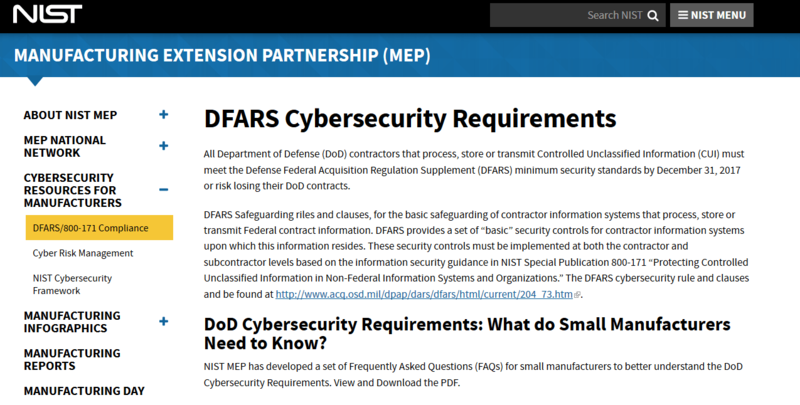 NIST 800-171 Compliance actually means DFARS Cybersecurity requirements must be met. executive branch to uniformly apply the standard safeguards, markings, dissemination, and decontrol requirements established by the CUI Program. So needless to say if you are a small manufacturer and sell stuff to the US government you will have to be compliant or else…. what is the or else? I surmise the or else is pretty bad, since there has been plenty of time for you to get on board of this new initiative . 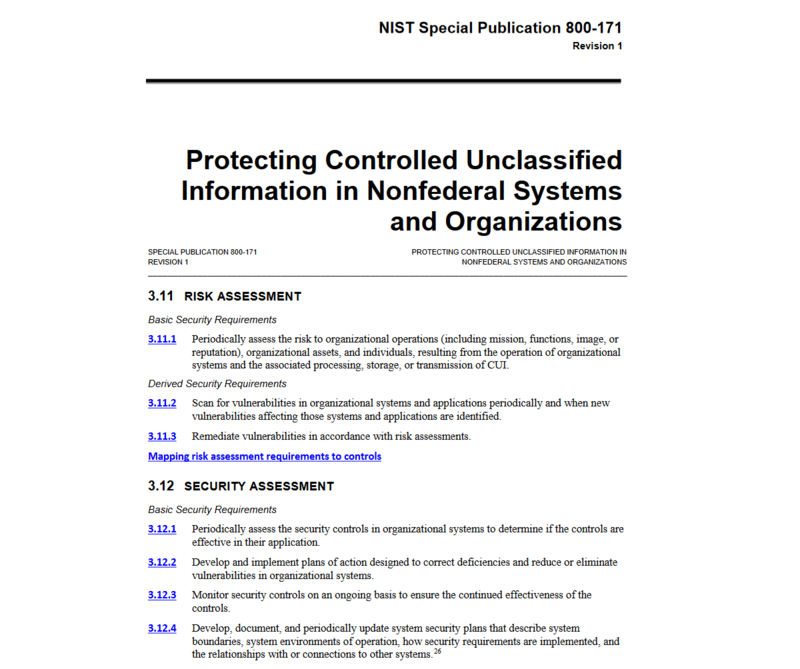 Admittedly it has been a chore to get through the NIST 800-171 documents up to now. As I have discussed in June on this site. None of these points are actually brain surgery, where you need 10 plus years of training and schooling. In fact most of these your IT department can perform in their regular work. they just need support from above (i.e. resources). So these 14 points should not dissuade you from becoming compliant, in fact even if you do not have multi-factor authentication(Identitification and Authentication), and it would take 6 months to implement, all you have to do is to create a POAM or Plan of Action and Milestone. So once you have writtenup proof or POAMs then you are compliant – easy. This is how I can state that you can come into “compliance” with NIST 800-171 quickly. Contact us to review and discuss . Previous Previous post: Does Outsourcing Make You More Secure? Next Next post: How are Hackers Always a Step Ahead of Defense?